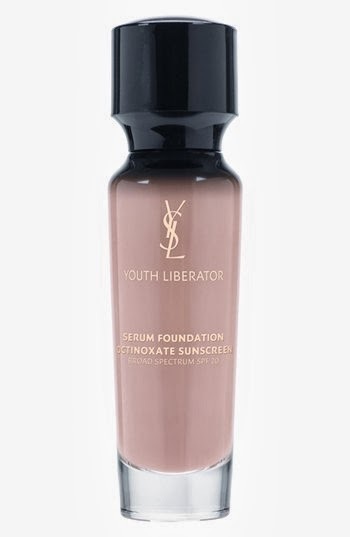 YSL have introduced their recent foundation offering utilizing their Forever Youth Liberator Serum. So far it has had rave reviews all over YouTube and I am very much looking forward to getting my hands on it when it reaches the Australian shores. It is retailing for £34 in the UK, so based on the price difference with the Le Teint Touche Eclat Foundation, UK = £29, Australia = $78.00, it's probably going to be around the $100 mark. "Yves Saint Laurent presents a revolution in foundation: Youth Liberator Serum Foundation offers medium-to-full coverage, skin-firming benefits, as well as 24-hour hydration and SPF 20 coverage. The anti-aging foundation is infused with Yves Saint Laurent's award-winning Forever Youth Liberator Serum. Youth Liberator Serum Foundation combines all-day, non-stop hydrating properties to smooth and nourish the skin with the patented Color Tune-Up Complex to correct dullness, giving you a newer, brighter complexion. From fair to dark complexions, Youth Liberator Serum Foundation corrects, unifies and evens all skin tones for an instantly younger appearance." Will you be investing in this foundation? Any new products you are looking forward to?